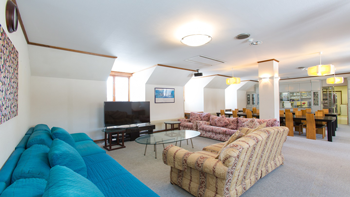 Ramat Lodge is loved by all and regarded as one of the friendliest and most homely lodges in Niseko. 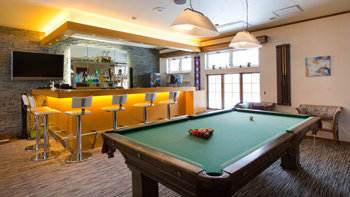 The lodge sports a 52” LCD television with cable TV and extensive DVD library in the lounge area, bar with FREE pool table and a commercial grade kitchen for guests to use. Guests are also able to enjoy looking out to the magnificent Mt Yotei from either level of the lodge. Snowgum Lodge is one of the most spacious and homely lodges offering budget accommodation with shared facilities. With a large commercial kitchen, dining room and 2 lounge areas you are guaranteed to meet like-minded people, make some friends and most important find some riding buddies. Naturally we are all bonded by the hunt for powder, but we shared many laughs and great times in the lodge….we were made to feel so relaxed that it really became like hanging out at home.